In 1967 the American alligator received federal protection as an endangered species, after decades of commercial hunting decimated alligator populations. 50 years later, alligator numbers have recovered, but the hunting of alligators for profit is going strong once again. The 2016 Florida alligator hunt began this week. Processors were waiting at the docks for hunter’s boats to return, ready to purchase the skin and flesh of dead alligators. 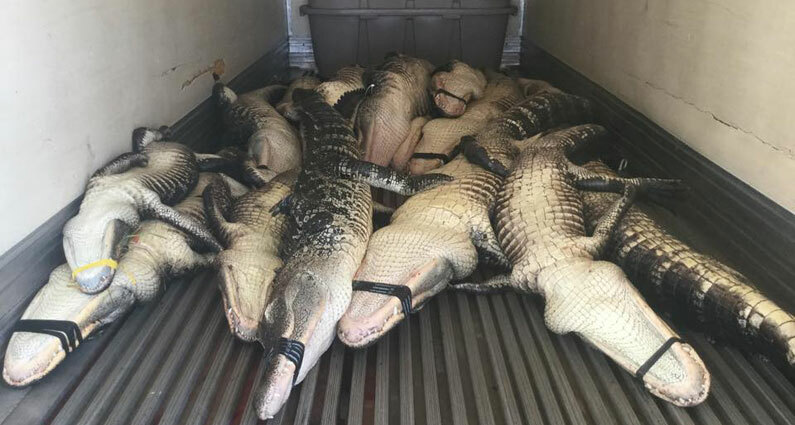 The Florida Fish & Wildlife Conservation Commission encourages the trade by providing hunters with a list of alligator meat processors and hide dealers (photo: dead alligators awaiting “processing”). 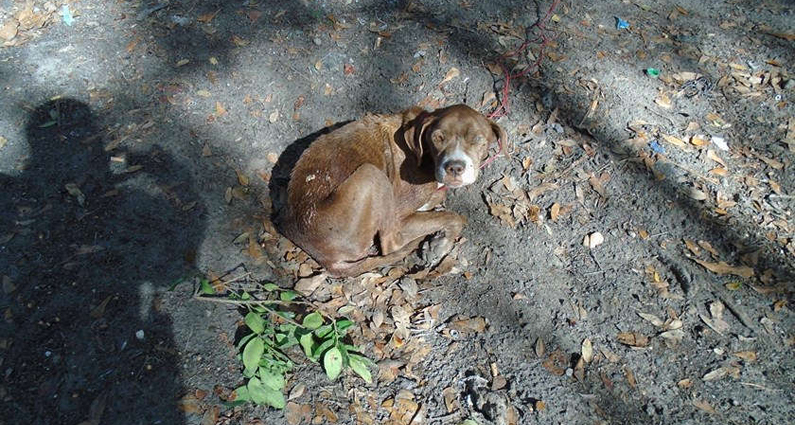 It is illegal for hunters in Florida to sell the meat, skin or feathers of game animals. The alligator is the only exception. There should not be a “price per foot” for Florida’s wildlife. It’s time to end the commercialization of our wildlife. This week the Garden Bros. 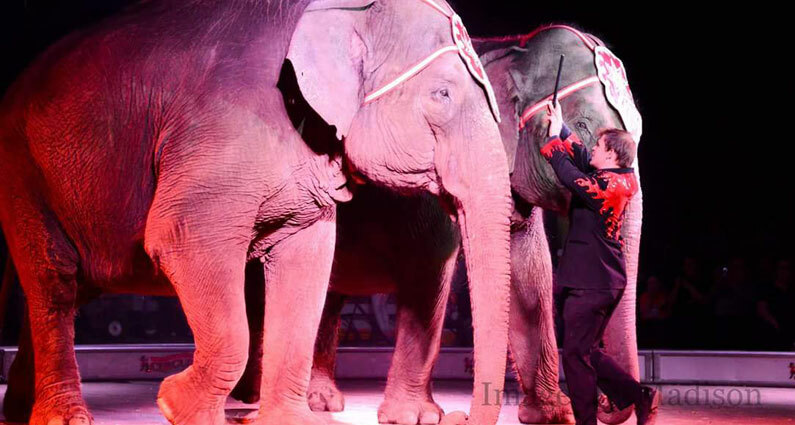 Circus began three weeks of shows in Florida. The circus is traveling with elephants and camels. Garden Bros. is a new circus, founded in 2015 by Niles Garden. The Garden family has a history of criminal charges, animal cruelty citations, lawsuits and customer complaints dating back three decades. Read more about the troubled history of Garden family circuses here. 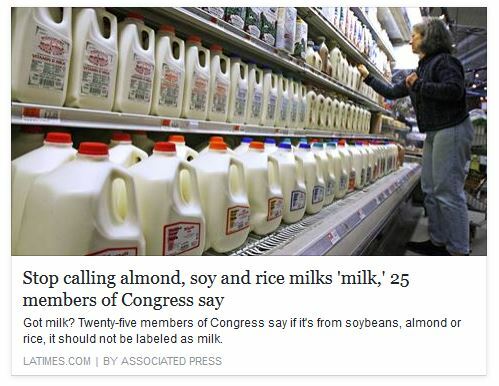 Join protests against the Garden Bros. Circus in Cocoa (July 6-7) Punta Gorda (July 13) and West Palm Beach (July 23). Additional protests to be scheduled. 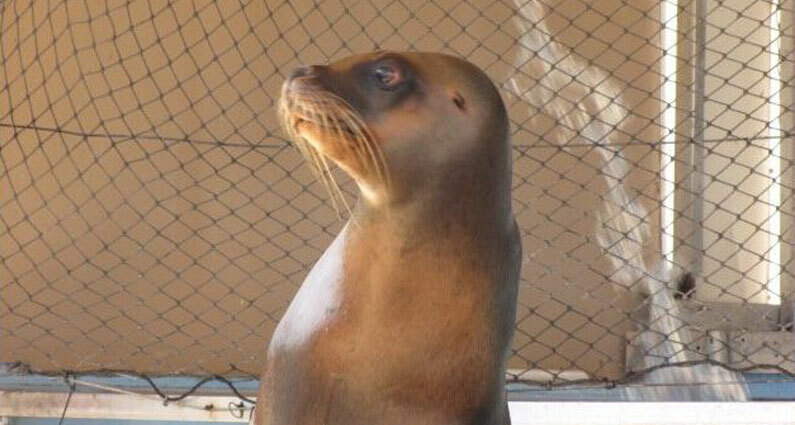 Five sea lions were confined in a pool that did not meet the AWA’s minimum size requirements. The traveling exhibit also failed to provide the animals with adequate protection from direct sun. The following fairs featured Sea Lion Splash in early 2016. Please contact the fairs and ask them to reconsider including Sea Lion Splash in future fairs. 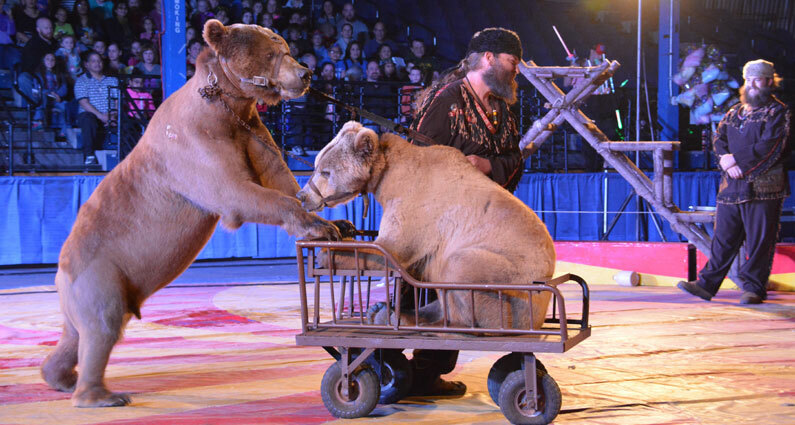 When a USDA inspector stopped by the Aleppo Shriners Circus in Wilmington, Massachusetts on April 22, she found that the main source of food for two adult brown bears was “a large amount of bread.” The bears, owned by Florida-based Rosaire’s Bears, perform a depressing circus act muzzled and chained (see below photo). It is common for animals in traveling circuses to suffer from poor nutrition. The food that bears, tigers and other animals receive is often based on economic rather than nutritional requirements. 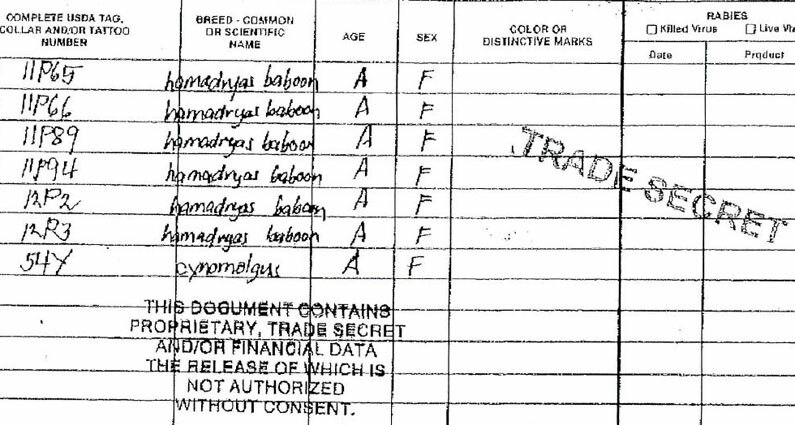 We hope that the Florida Department of Agriculture and Consumer Services will vigorously defend itself against Primate Products’ lawsuit, and defend the public’s right of access to governmental records. 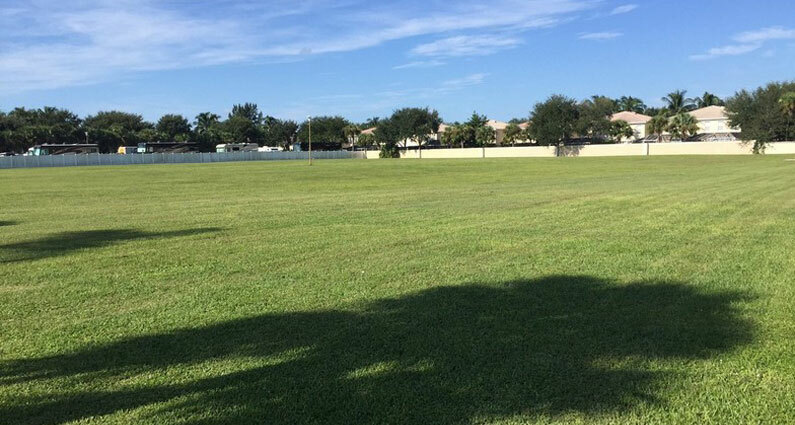 Two Shrine temples in Florida that have sponsored annual circuses for many, many years are responding to declining membership and revenues by putting their properties up for sale. Orlando’s Bahia Shriners and the Amara Shriners of Palm Beach Gardens have both listed their building and property for sale. The Bahia Shriners have come to the conclusion that their building is too big. A resolution adopted in November explained, “The membership has declined over the years and the dues cannot support the operations of the building.” The potential sale of the Amara Shriners’ large grass lot next to their temple building is especially encouraging, since the lot was used each year by the circus to set up its big top. 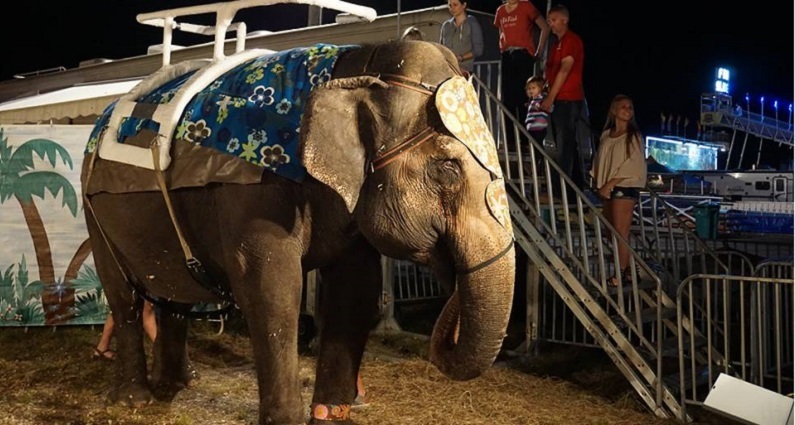 ARFF is hopeful that the temple will not host a circus in 2016. The fraternal organization needs to improve its image and attract new members. Getting rid of cruel animal circuses would be a good step toward turning around a struggling organization.